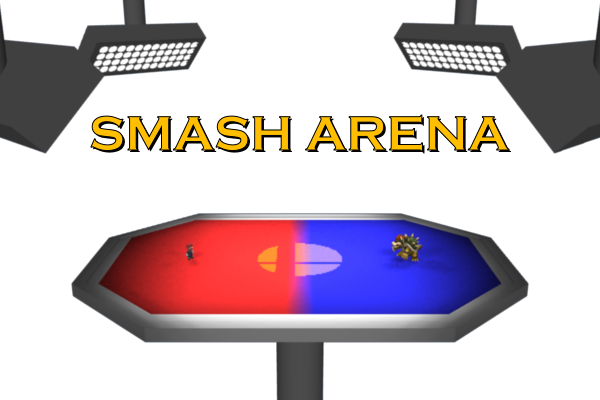 Ladies and gentlemen, welcome, editors and users, to the Smash Arena! 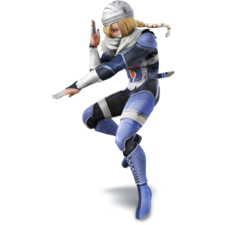 Each week (or possibly less often, if the wiki's status is high or there's not much voter traffic) this forum hosts a tussle between two characters, items, stages or anything else from the Super Smash Bros. series! The winner gets, well, nothing. It's more of a poll but functionally, this is a popularity contest. You may vote for your favorite or who you think would win in a competition between the two combatants that round. No, you don't have to vote for the character with strength & power, or the stage considered more "fair", or the combatant with the most fans - just vote if you are a total fanboy of the participant. So what are you waiting for? Get voting! When voting, you can give a brief comment on why you voted the way you did, or you can just leave your signature. Long explanations for your vote are discouraged, as they are unnecessary (a vote is worth the same regardless of its reasoning), and they inflate the size of an already large page. You can vote only once. Any multiple votes will be removed. Put a # before your vote to facilitate the vote counting. Type ~~~~ after your vote to sign it, whether you are logged in or not. Using the wrong number of "~"s counts as not signing - your signature must have both your signature itself and the time. There is a line in each section consisting of "DO NOT ADD COMMENTS OR EDIT ANYTHING BELOW THIS LINE". You are to follow this rule; do not just type your vote at the bottom of the editing window. Not following this rule results in your vote being displayed in the wrong place. Put your vote below other votes; that is, so the votes are in chronological order. You may change or remove your vote at any time. To do this you must remove your old vote in its entirety; this is an exception to the "never remove comments" rule. You may vote only in the current fight; all previous fights are closed. Do not leave a space between your comment and the ones above it (and/or below it). Extra spacing results in the list numbers becoming disjointed. While previewing an edit of a single section, you will see loose formatting marks (such as a trailing |}). Do not alter or delete them; they are important to the page's construction and take effect only when the entire round is viewed. If there are multiple fights in a single round, try to make all your votes in a single edit. Comments relating to how close or one-sided a matchup is. Comments about other users' opinions. You can point out that a user may have gotten a fact wrong, but you can't say things such as "That's not a good reason" or "But the other guy is better because X". Users can vote for any reason they want; trying to argue with someone's opinion generally has no positive outcome, in addition to simply inflating the comments section of an already large page. Similarly, avoid writing votes that may invite an argument. Stating your opinion is fine, but don't make it easy for others to see it as goading. If your vote is not added correctly - specifically, it breaks rules 3, 4, or 5 - you have a short amount of time to fix it (typically between fifteen minutes to an hour). After this time, it may be corrected and moved by any user to the Half-Votes section (adding the unsigned template if necessary), and it will count as half a vote. Other users should not fix such broken votes without also making them half-votes. Your vote will also be considered a half-vote if your edit causes someone else's valid vote to break one of these rules. Attempting to move your vote out of the Half-Votes section may result in it being worth zero (and subsequently deleted) at an operator's discretion. Multiple votes in a round are not allowed; attempts to circumvent this with sockpuppets will result in all your votes being deleted, and is a blockable offense. Probated users who attempt to circumvent their probation with sockpuppets are also committing a blockable offense and will have their vote discounted. Remember that admins have access to CheckUser to check the IPs of any user, and will use it when sockpuppetry is suspected. Intentional half-votes undermine the intent of the half-vote system as a way to punish voters for voting incorrectly. It is legal to want a vote to be worth half, but it is very heavily discouraged, and you must state in your vote you want it to be worth half. If you put your vote in the half-votes section without stating reasons why you want it there, it is worth zero and may be deleted by any user. You may replace it later should you do it correctly. 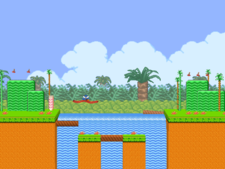 Above all, remember that voting in the Smash Arena is a privilege, not a right. 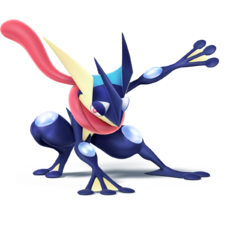 In the vein of what SmashWiki is not, you are expected to at least attempt reasonable contributions to the wiki if you wish to retain your privilege to participate. These two worlds only exist within protagonists' dreams - who wakes up first? Simple fight - ninja vs ninja, disguised vs. deceitful, blue vs. blue, needle vs. shuriken. Have at 'em. To view and comment on suggested fights, go here. This page was last edited on April 16, 2019, at 13:45.